After swapping my Cannondale 3.0‘s hodgepodge of Campagnolo components for Shimano Dura-Ace 7700s, the bike weighs in at 19.0 pounds. In this day and age of ultra-light (and über-expensive) vélos bedecked with enough carbon fiber to embarrass a B2 Stealth Bomber, this seems a bit portly and admittedly, she could easily lose another 1.5 lbs. 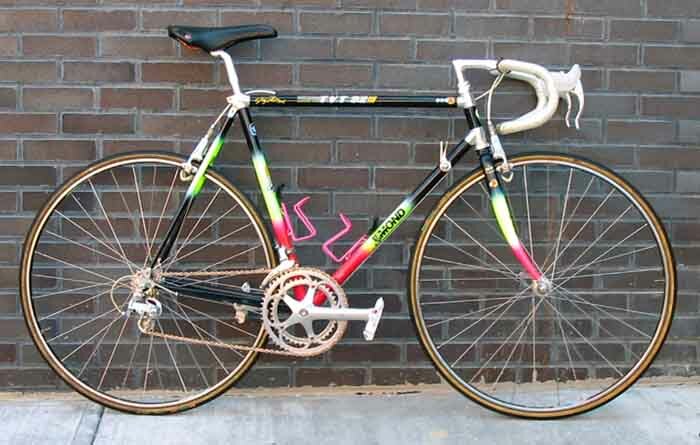 if I cared to spend a few hundred dollars for a lighter wheelset, saddle and handlebar. But can you believe that my C’dale (with its 19-year-old aluminum frame) actually weighs less than the bicycles that Miguel Indurain, Jan Ullrich and Bjarne Riis rode to Tour de France victory in the mid- to late 90s? 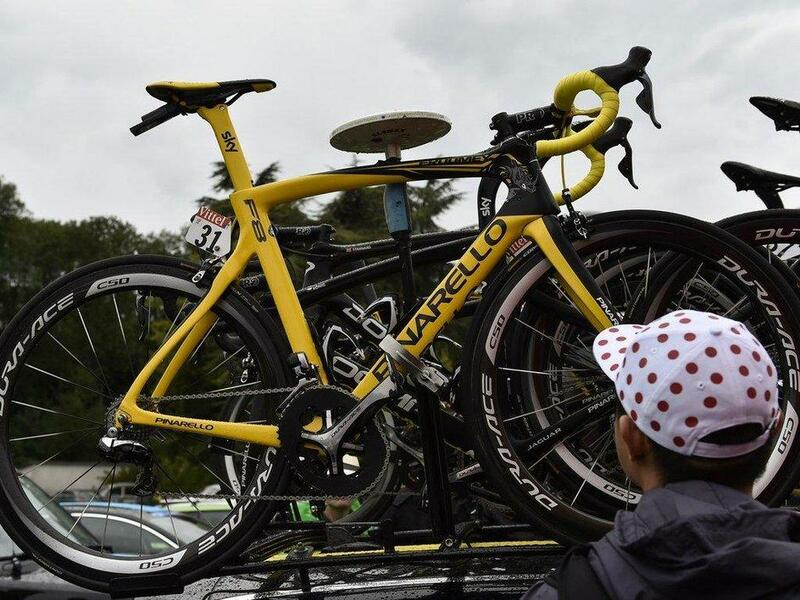 And every winning Tour bike before that! In the last 40 years, a handful of bicycle manufacturers have dominated the race for the yellow jersey: Pinarello (14 as of July 2018), Gitane (with 9 or 12 victories), Peugeot (10), and Trek (9). 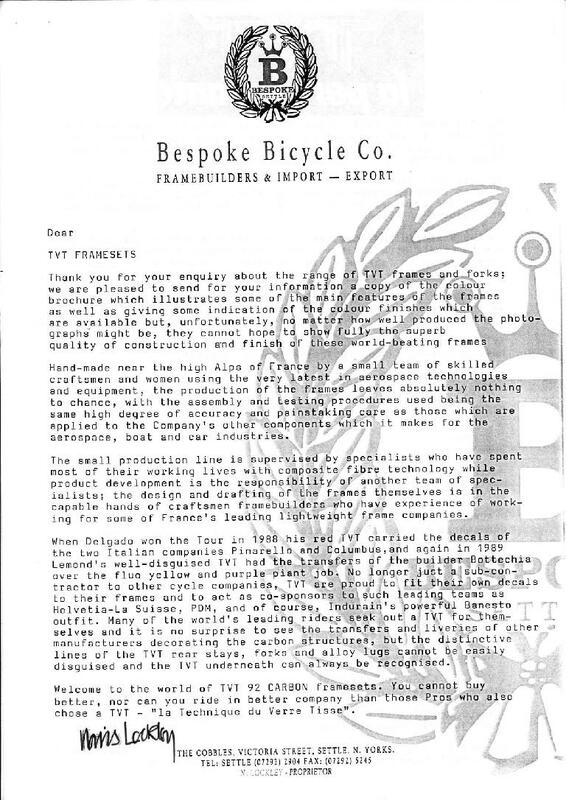 Read this post for a detailed analysis and controversies regarding which bike company has won the most. 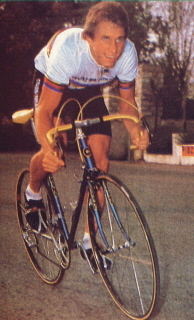 TVT (of France) claims to have at least 5 victories spanning from 1986-1991. Their bikes were frequently rebadged as other marques. 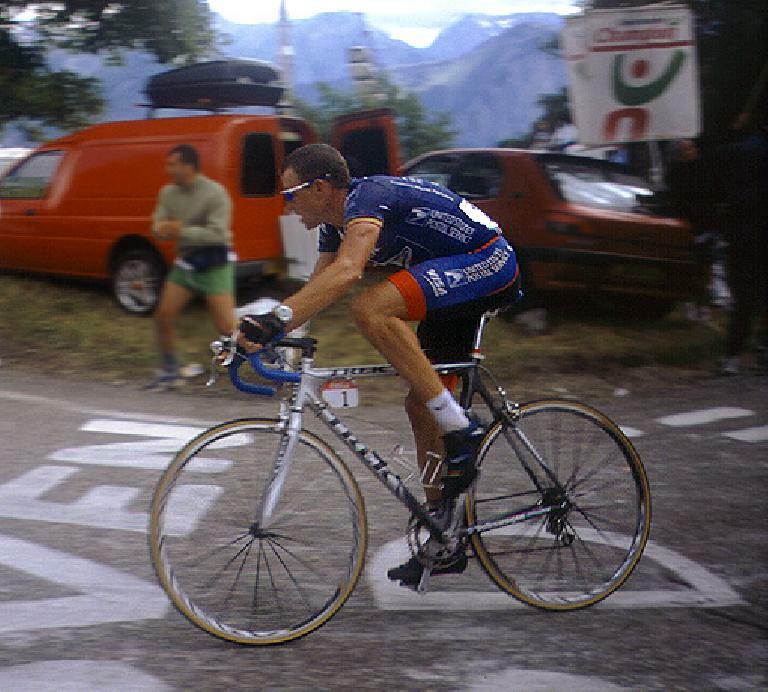 1994 was the last time the Tour was won a steel bike—a TIG-welded Pinarello-badged beauty ridden by Miguel Indurain. 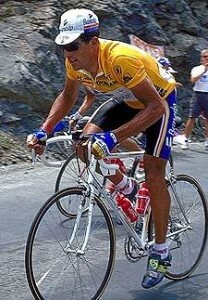 Indurain and Bjarne Riis rode TIG-welded metal-matrix frames to victory in 1995 and 1996, respectively. 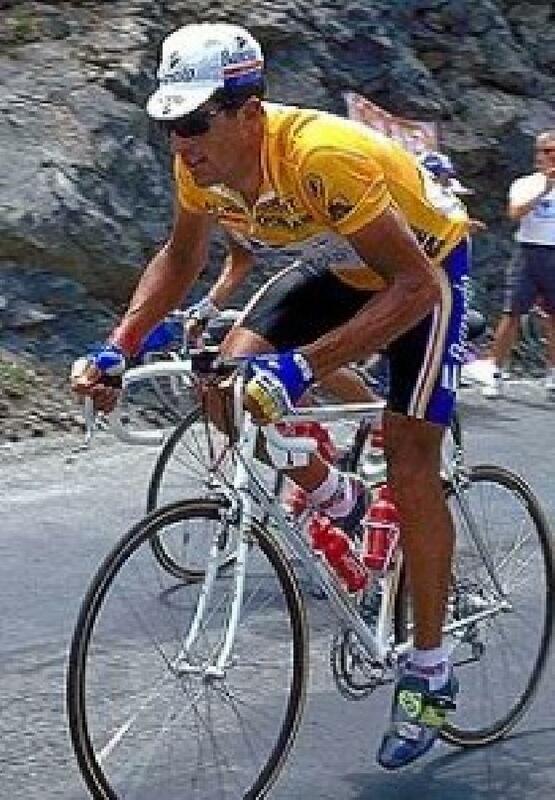 Aluminum bicycles were ridden to glory by Jan Ullrich and Marco Pantani in 1997 and 1998, respectively. 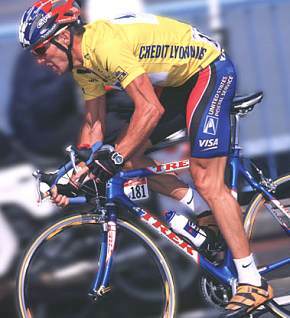 In 1999, Lance Armstrong’s time-trial bike was a Trek-badged titanium Litespeed Blade. 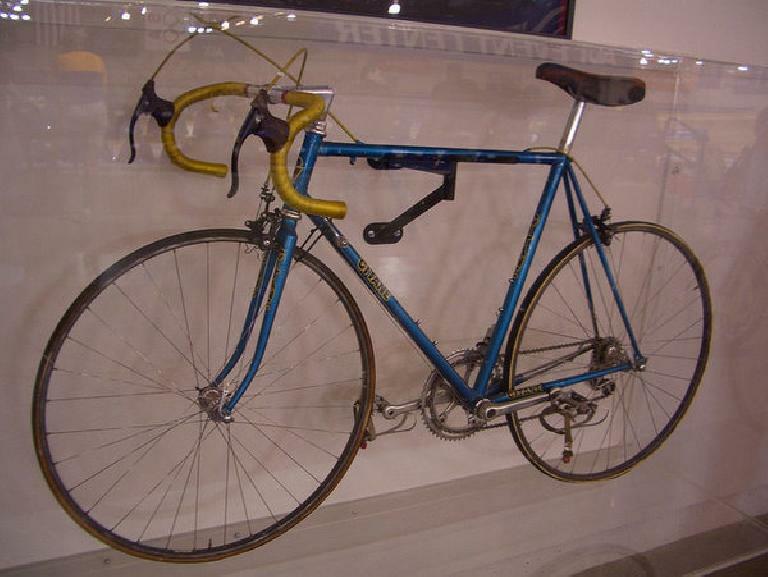 I think this is the only titanium bicycle that was ever used by a Tour de France winner (later nullified). Ever since Lance Armstrong lead the Tour on a stock Trek OCLV in 1999, every winning bike has been made out of carbon fiber. 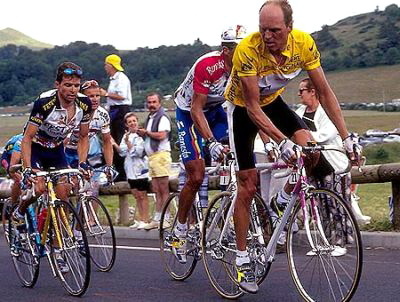 Shimano also finally had a win in the Tour starting in 1999 2007. For the climbing stages in all seven of Lance Armstrong’s TdF overall first-place finishes, he used a downtube front shift lever to save weight (about 2-3 ounces). Nowadays, combination brake/shift levers (such as SRAM Red) are just as light as a separate downtube and brake lever—and bicycle manufacturers don’t even put braze-ons for downtube levers on their frames anymore—so 2005 will likely go down in history as the last year that downtube levers were used by a Tour de France winner. 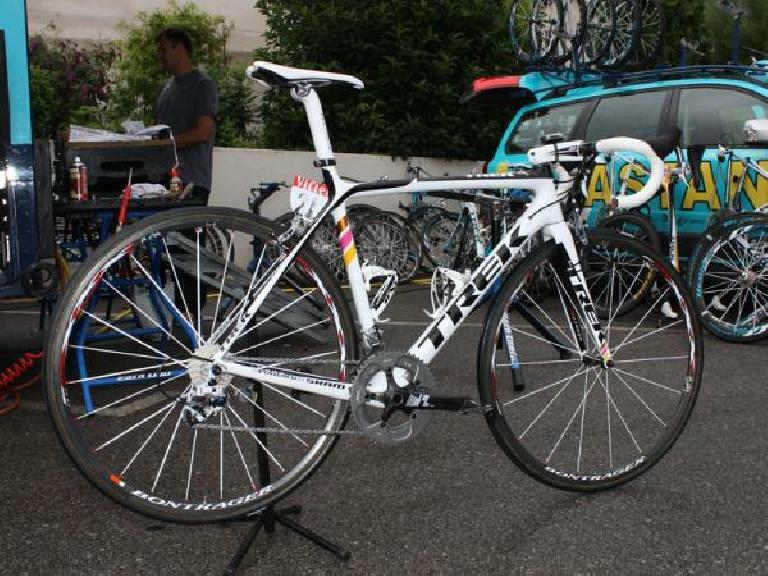 Alberto Contador’s Trek Madone 5.2 in 2007 was the first Tour-winning bike with a mountain bike-like sloping top tube. 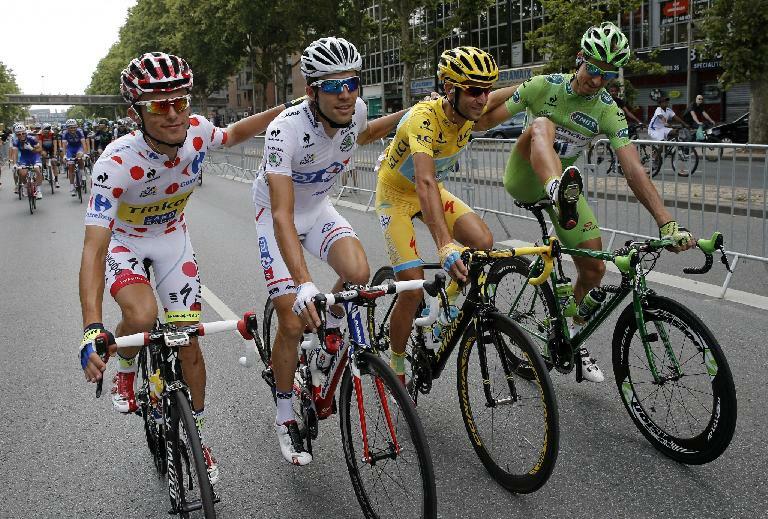 Now almost all modern race bikes have “compact” frames, with the main holdouts being Cannondale and Pinarello. 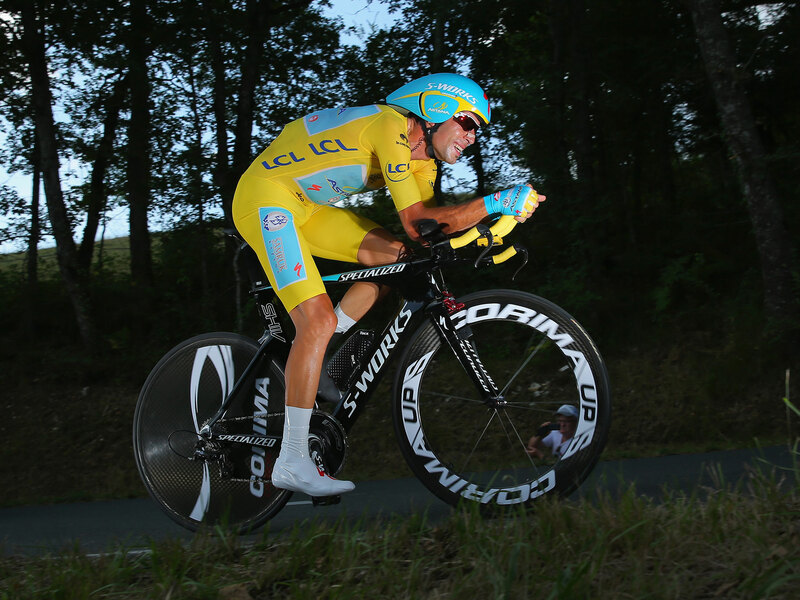 Cadel Evan was the first TdF winner using electronic shifting (Shimano Di2 on a BMC Teammachine SLR01) in 2011. 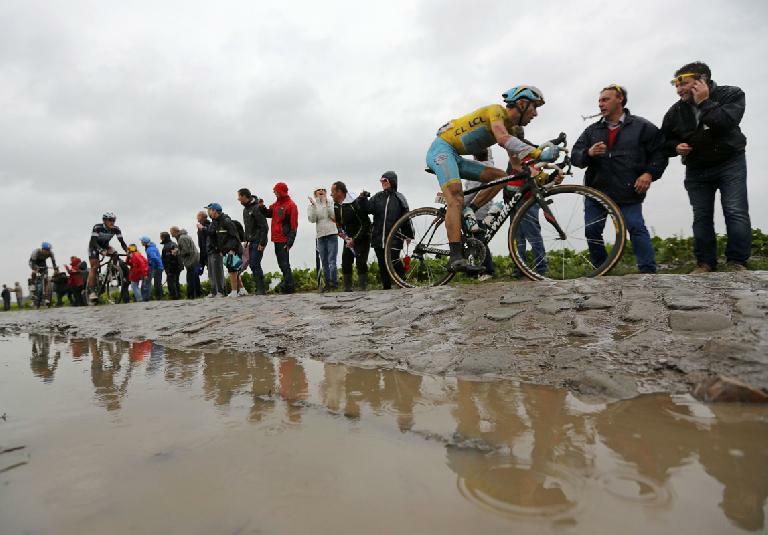 I’ll go ahead and predict that by 2020 some sort of disc brake system for road bikes will be introduced and that electronic equipment (e.g., sensors, meters and communication devices) will be more integrated into the frames. [August 11, 2013: I made these predictions in 2010 and by now they already seem fait accompli.] Any one else with predictions? 1985 Bernard Hinault Hinault 21.1 (9.6) (1); time-trial bike? 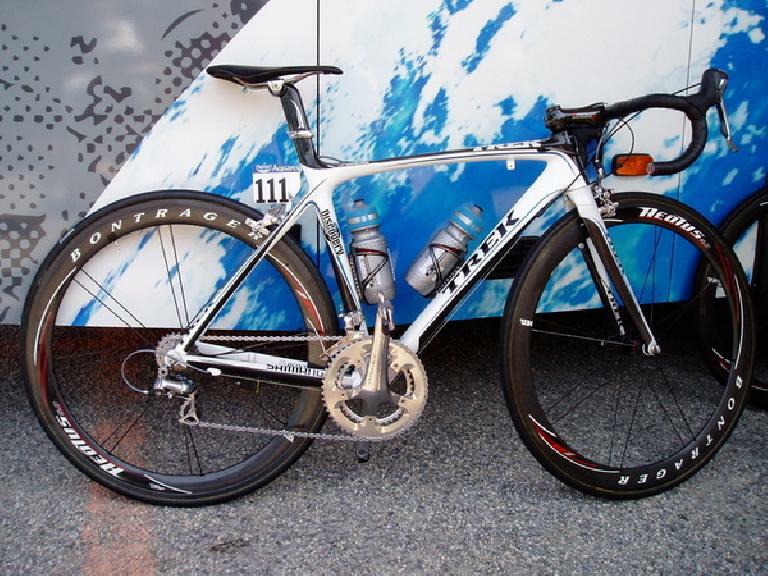 2007 Alberto Contador Trek Madone 5.2 15.0 (6.8) (3),(10),(12); First official win by a Shimano-equipped bicycle. 2010 Alberto Contador Andy Schleck Specialized Tarmac SL3 15.0 (6.8) (3),(7); First win by a SRAM-equipped bike? 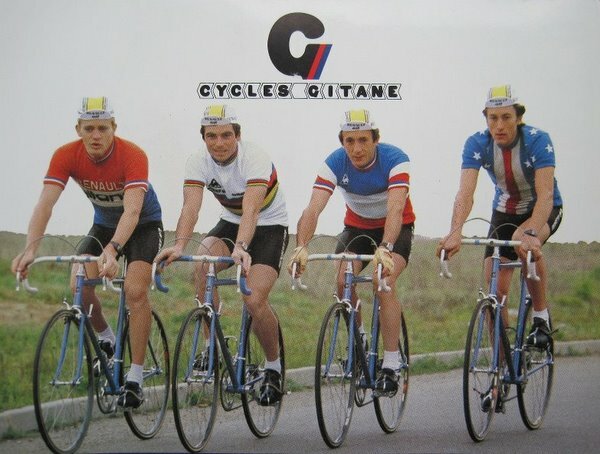 Les Velos Mythiques Vainquers du Tour de France by Yves Blanc and Bruno Bade, as described in the Starbike Weight Weenies Forum. 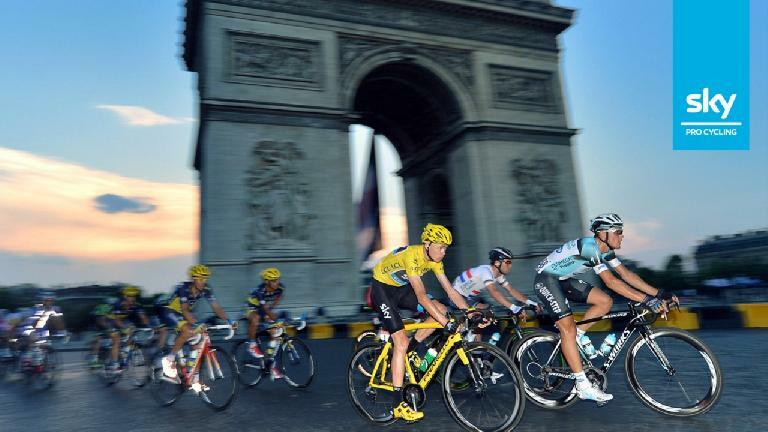 Lance Armstrong’s Tour de France-winning machines, James Huang, CyclingNews.com, July 2007. UCI weight limit of 15 lbs. (6.8 kg) in effect. 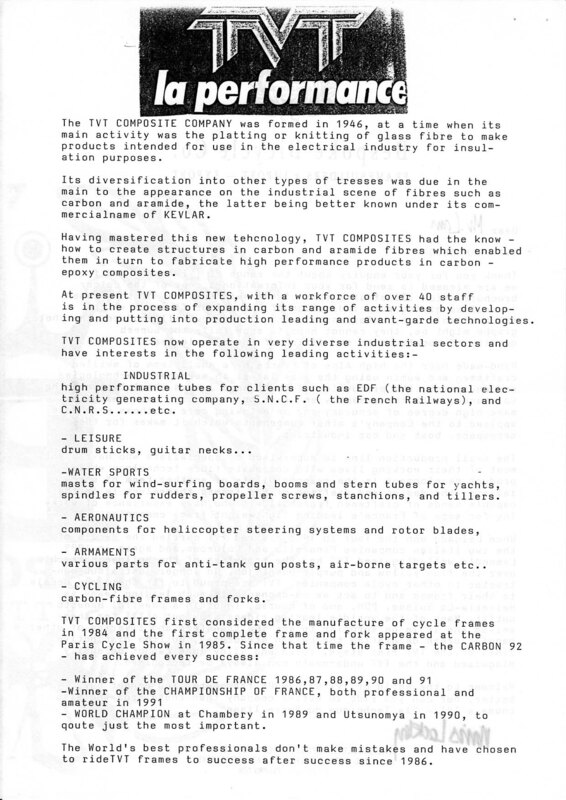 Other components Armstrong used are described in Wired Magazine, July 2004. Trek Press Release, July 2000. Lance Armstrong’s Tour de France Bikes, Chain Reaction Bicycles, 2001. 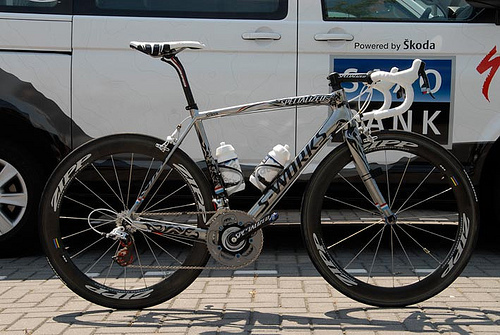 Andy Schleck’s Specialized S-Works SL3 SRAM Red & Zipp Tour ride, The Road Diaries, July 2010. 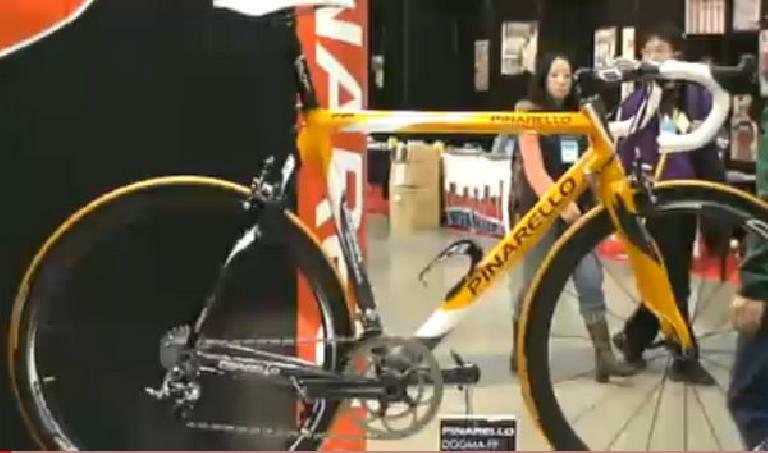 Oscar Pereiro – Dogma-FPX Bike on display, YouTube user Taurus0423, November 2006. Cervélo launch Carlos Sastre R3-SL and S3 limited edition frames, BikeRadar.com, June 2009. Alberto Contador’s Astana Trek Madone 5.2, CyclingNews.com, May 2008. Alberto Contador’s Astana Trek Series 6 Madone, CyclingNews.com, July 2009. 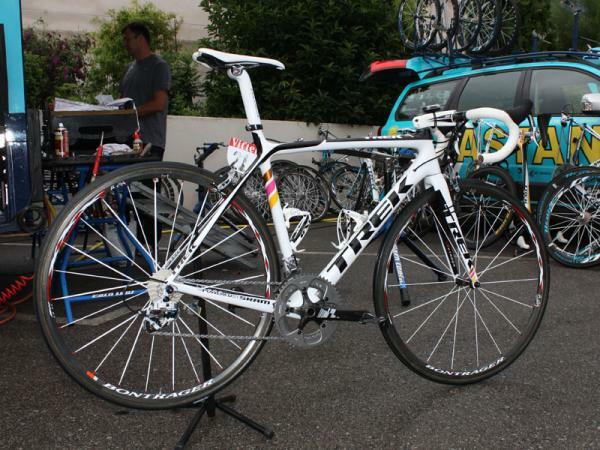 Trek Madone: The Bike That Owned the Tour de France, Gizmodo.com, July 2007. Trek Madone 5.9 Project One, CyclingNews.com, November 2004. Trek’s 2005 Carbon Fiber Lineup, Chain Reaction Bicycles, November 2005. Evans’ BMC teammachine SLR01, Velonews, July 2011. Tour de France winning bikes, Bikeradar, June 2012. From TVT’s letter. 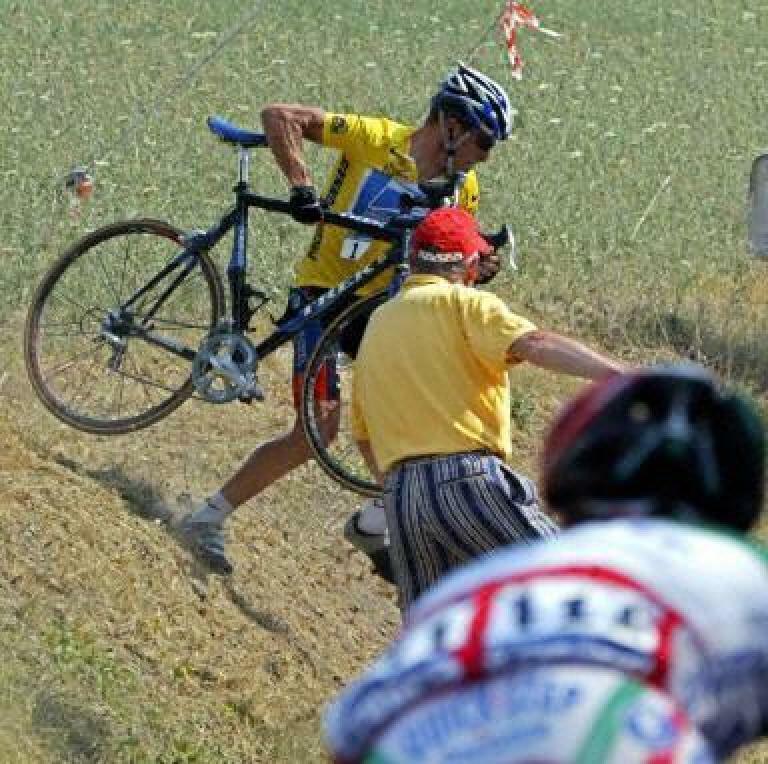 Thanks to James Greenlees for sending me it. Cycling News: Photo Gallery: Lance Armstrong’s Tour de France winning machines, August 2007.
never ceased to amaze me that armstrong demanded such attention to detail on the bike weight and then rode with a gold chain round his neck. How things have come on since the early 00’s. Love this info. 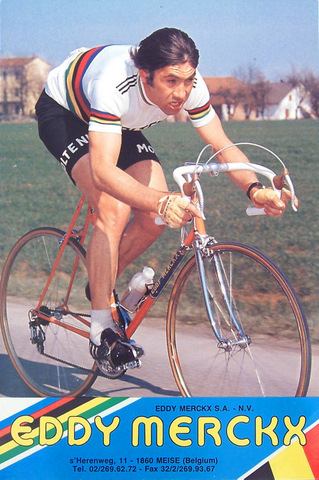 I am working on a novel in which the 1974 Tour figures prominently. I notice that the year’s 74 and 75 are missing from your chart. Why? And can you tell me what Merckx rode to the winner’s podium in those years and also suggest what were the major bikes riders were on during those years? The details are important to me in the telling of my story. I would greatly appreciate it. Thank you and keep up the great work. 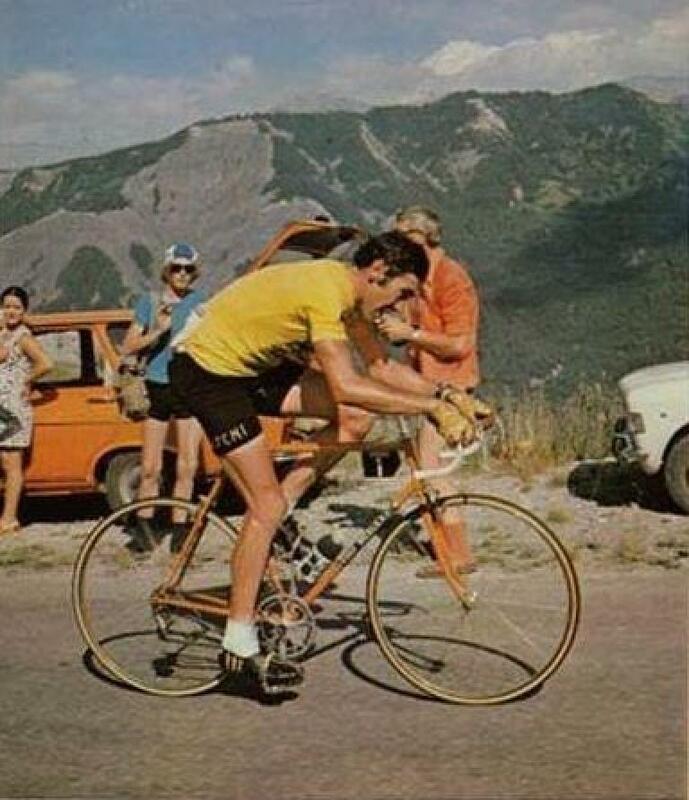 That’s a beautiful Gitane up there. 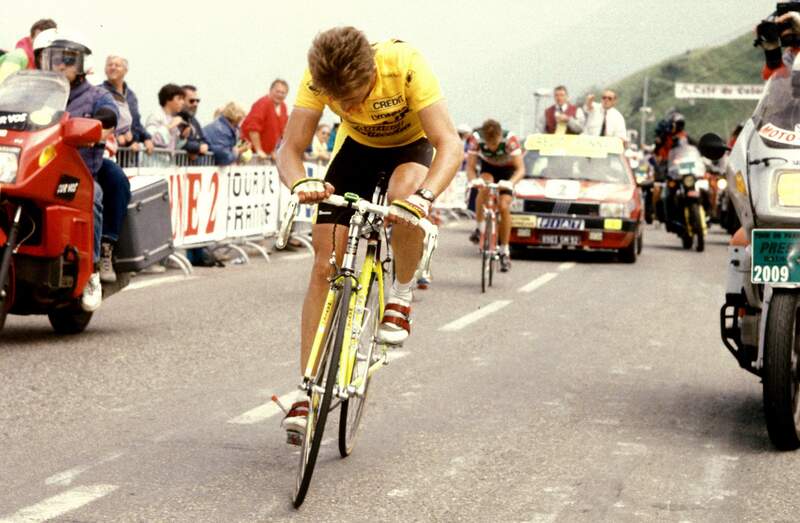 eg: Lemond in 1990 used one.